Northern Beaches website design company Narrabeen. Kindygym Australia was established over 30 years ago and is Sydney’s longest running kindygym (kindergym) company. The business operates within the Pittwater Sports Centre, a large state-of-the-art indoor gymnastics centre on the Northern Beaches. 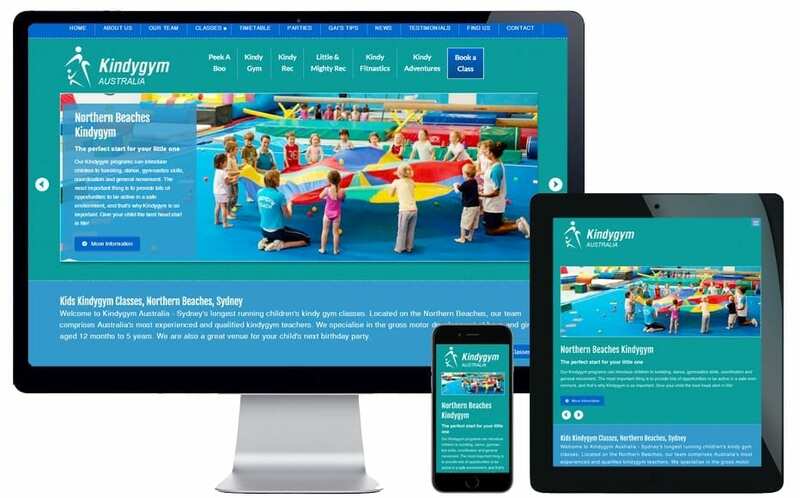 Previously Kindygym Australia’s only online presence was one page on the Pittwater Sports Centre website. This one page was no longer suitable for such a successful organisation running 6 kindygym programs in conjunction with kids birthday parties and school holiday clinics. It was time for a specially designed website of their own with the appropriate search engine optimisation. It was very important that the website was mobile-friendly so busy parents and carers could quickly and efficiently book a class from the convenience of their mobile phone. I developed their new webite using a responsive format which means the layout and structure adapts seamlessly to the device ensure it looks great when viewed on a computer, laptop, tablet or mobile phone. From a design perspective I elected to use a vibrant colour scheme to capture the fun and playful appeal of kindygym classes. I think the colour palette of vibrant blues and teal/green colours achieved this. The website was developed on the WordPress platform which gives the client the ability to easily make updates to their webpages anytime from any computer or smart-device. The addition of a blog gave them a platform to share important information and interact with parents and carers regarding the importance of physical activity. Rebecca from RAM Marketing has created a wonderful and user friendly website for my company Kindygym Australia. 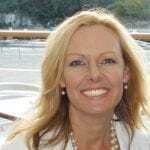 Going from a hands on sports coach, who has little experience with computers, I found the whole experience easy with Rebecca being available anytime to assist, support and answer any queries. I have learnt so much in a short time under Rebeccas’ wing and feel confident I can update my website anytime and anywhere. Many thanks for the wonderful job you have done! – Gai Forrest, Owner, Kindygym Australia. ← Why your website MUST be mobile-friendly.